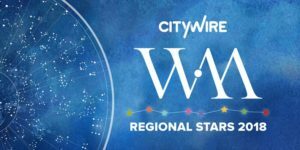 Two of Hawksmoor’s offices have made the shortlist in the annual Citywire Wealth Manager Regional Stars Awards 2018. The Exeter office has been named as a finalist in the South West Region, and the Bury St Edmunds office as a finalist in the East Region. The awards, which cover eight major regions of the UK are calculated through ratings given by financial planners to discretionary management firms, based on the quality of their service and investment proposition. For last year’s awards, more than 700 votes were cast by financial planners across the UK. The winners from each region will be announced at a ceremony on 8 March at the Westminster Park Plaza in London. This is not the first time that Hawksmoor offices have featured in the Regional Stars Awards. The Exeter office won the South West Region title in both 2015 and 2016, and what was then the Ipswich office won the East Region title in the same years, before relocating to Bury St Edmunds.